This week I decided to start with Windows Azure. 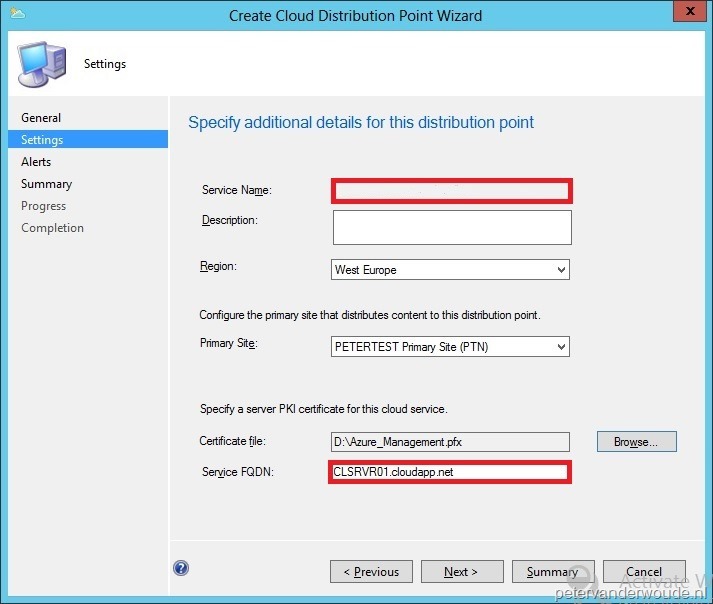 One of the biggest reasons for that, was that I knew that with ConfigMgr 2012 SP1, which is currently still in BETA, it is possible to create a Cloud Distribution Point based on Windows Azure. So that’s what I decided to start with this week. 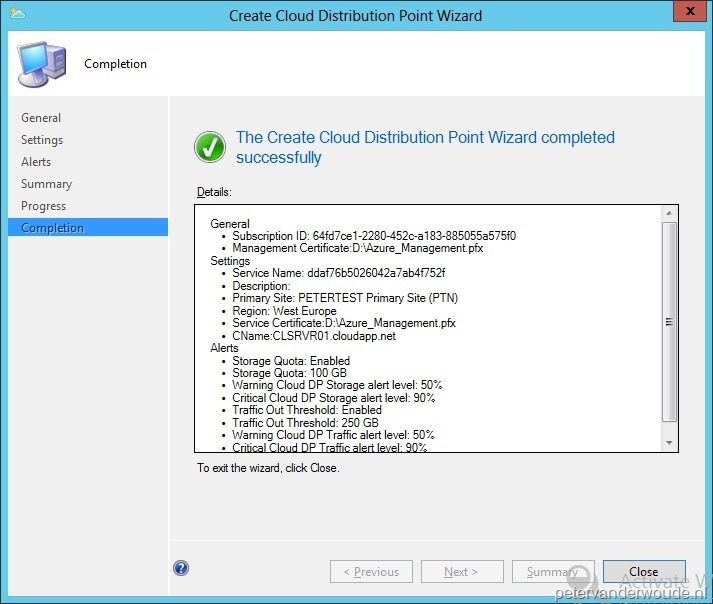 Create a Windows Azure subscription. 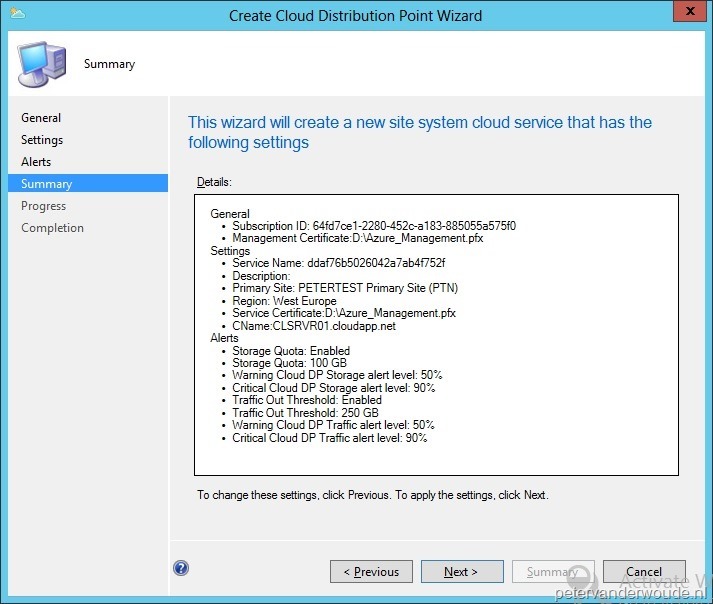 Create a certificate for the management of Windows Azure. 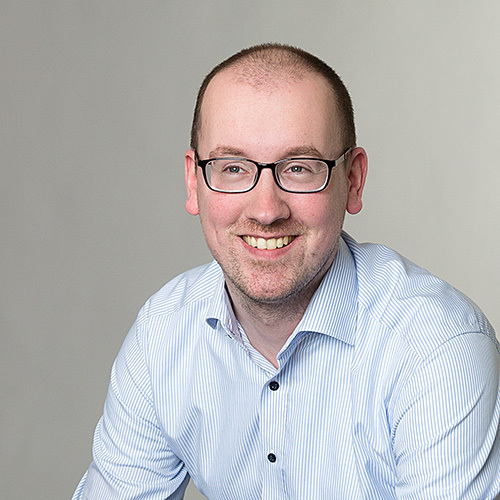 Add the management certificate to Windows Azure. 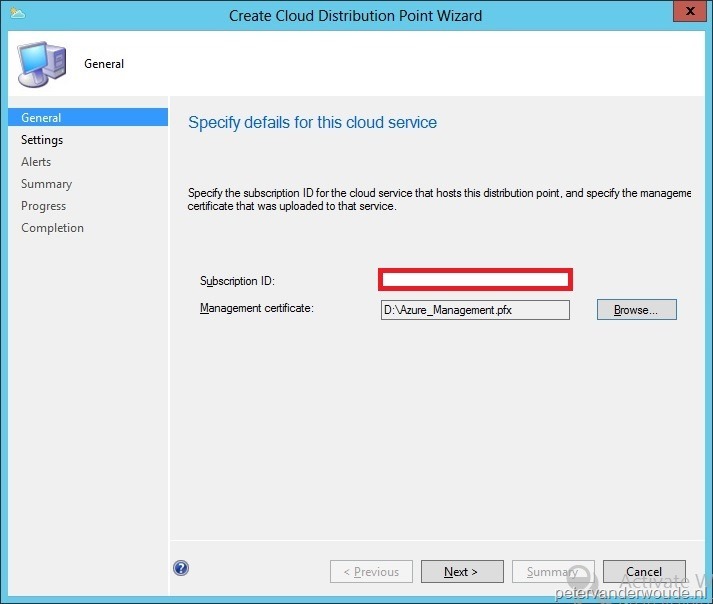 Create a certificate for the new cloud serivce. On the General page, fill in a Subscription ID, add a Management Certificate and click Next. On the Settings page, a Service Name will be generated, Browse to a certificate for the cloud service and click Next. On the Alerts page, configure alerts and click Next. 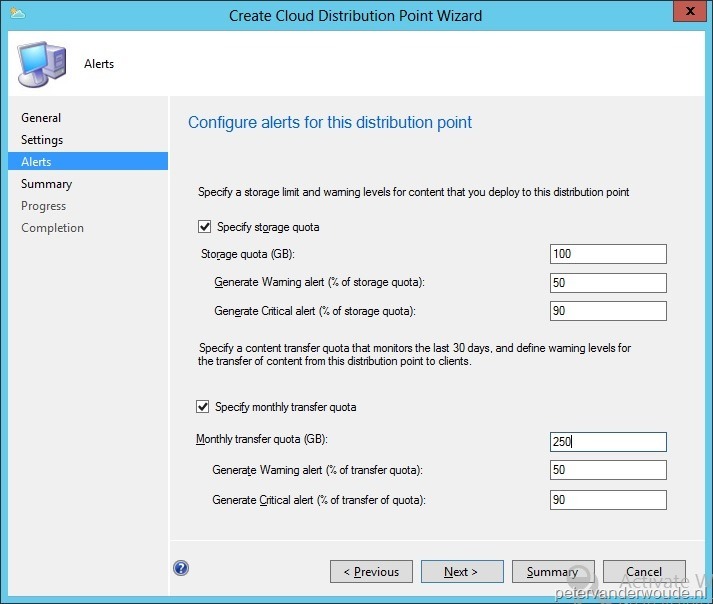 Also a more closer look look the Storage Account will show that the Cloud Distribution Point is created. 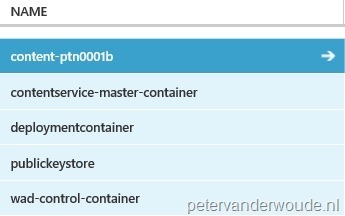 The contentservice-master-container, the deploymentcontainer, the publickeystore and the wad-control-container are default containers, but to show that the server-side is working I already uploaded content and that’s the content-ptn0001b container. Good stuff – this and the “how to allow cDP access” as well.